Bold espresso cascades through light, fluffy layers of foam, topped with a drizzle of flavor. 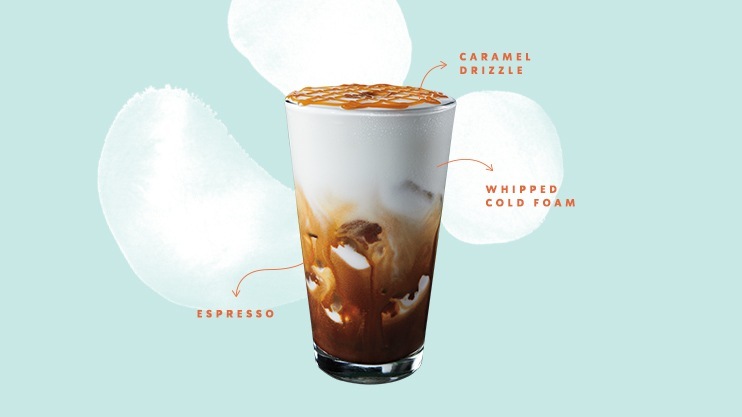 Experience the new Iced Caramel Cloud Macchiato* or Iced Cinnamon Cloud Macchiato* at a Starbucks® store near you. *Cloud Macchiato cold foam contains eggs. For beverage ingredient and allergen info, please see starbucks.com/menu. Discover Evolution Fresh Cold-Pressed Juice. Now you can take Starbucks with you wherever you go. Some fun, flavorful alternatives for anyone to enjoy.